The evening started with dinner at a lovely Thai restaurant in Ridgewood, NJ, called Malee, where we all had a lively discussion of all non-FileMaker related matters, then we walked over to the Ridgewood Education Center, our regular spot. 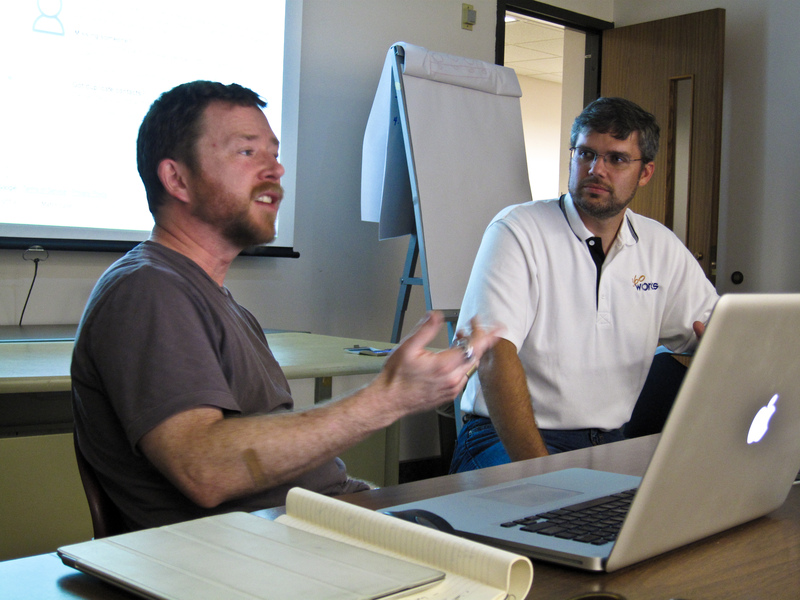 Jesse Barnum of 360 Works and John Sindelar of Seedcode were our guests to show us some of their latest work. These guys are amazing. 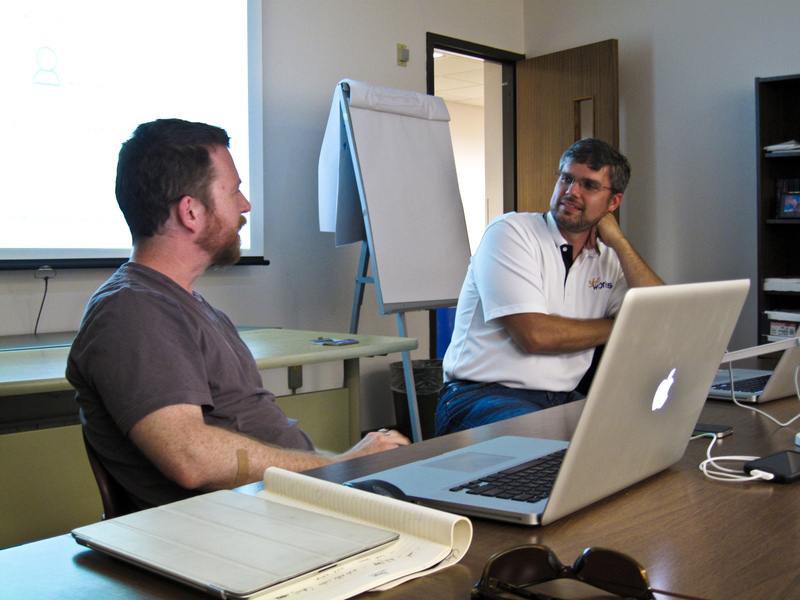 Their work is cutting edge, leading the FileMaker industry into the future. 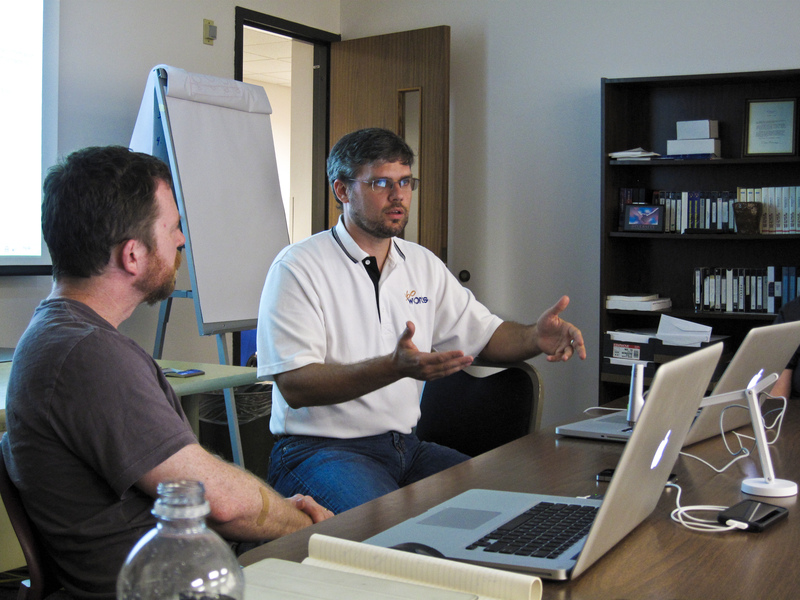 Jesse introduced us to DocuBin, their new document management system that’s based on SuperContainer, what I have been recommending to clients for managing files in FileMaker. SuperContainer comes with it’s server (standalone or Tomcat install) that stores your files that you access from FileMaker, thus keeping your file size down. DocuBin builds onto SuperContainer and takes it a lot further. Preview a document inside of DocuBin, or open it in the document’s native application. DocuBin requires SuperContainer that you’ll have to purchase separately, but it does include other plug-ins that you will need to use it. 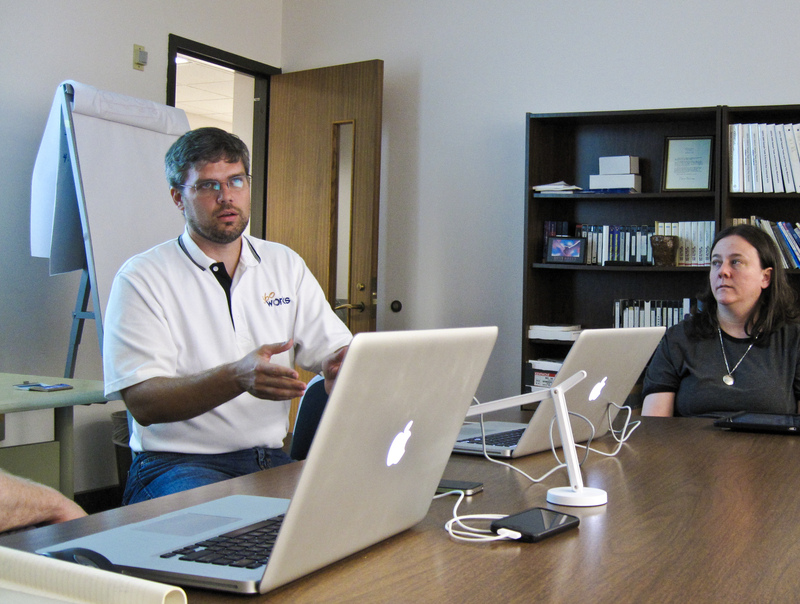 John Sindelar introduced us to Zulu, that turns your FileMaker server to an iCal server. It lets you manipulate your calendar events from an iOS device, Google Calendar and you see your changes immediately in FileMaker. Zulu is a brilliant addition to your solution if you are on the go (and even if you are not) and would like to take your events with you. Also, if you have someone else is managing your schedule and you just want to see the events, Zulu is for you. You can even manage multiple calendars. Zulu can unleash your creativity and use calendars not just for scheduling but let’s say resource ond team management. John and Jesse also showed us another goodie they had in their bag: Zulu Contacts. 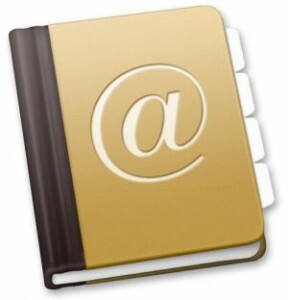 Zulu Contacts lets you sync your contacts between a FileMaker database and your mobile device. This is amazing. Finally, you can share a group of contacts between a team and have all their data be stored in FileMaker, but take them on the road with your iOS device. 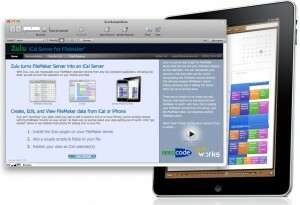 You can edit a contact on your iPhone on the road and it will sync back to FileMaker. ZeroBlue offers licensing and implementation for any of the above mentioned products for your organization. Contacts us for details and pricing.